In 2011, the Wuerttembergiser Kunstverein in Stuttgart presented a retrospective of artist Teresa Burga, curated by Dorota Biczel, Miguel A. López, and Emilio Tarazona. The hand-outs that were distributed at the exhibition were translated from a questionnaire originally used by Burga to gather data for Perfil de la Mujer Peruana (with Marie-France Cathelat). 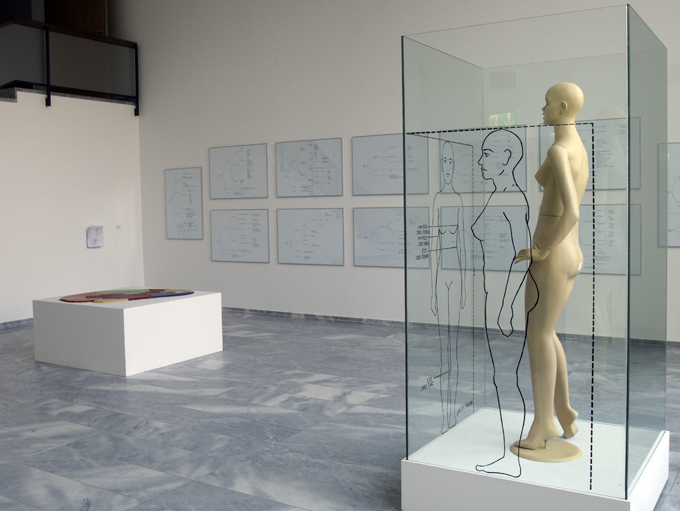 The installation and publication combined diagrams, documents, images, objects, and a variety of medical records, to realize 'the Profile of a Peruvian Woman'. "In 1980 Teresa Burga and the psychologist Marie-France Cathelat co-founded the association Investigaciones Sociales y Artísticas (ISA) (Social and Artistic Research). In order to realize the Profile of a Peruvian Woman, they sought support from private and public institutions and enlisted professional help of academics and specialists, to assure that their research would be undertaken in a scientifically rigorous way. The resulting exhibition (a series of information graphics and installations that visualized the obtained data) and the subsequent publication intended to present self-perceptions of middle- class Peruvian women aged 25–29. Conceptually, the project kept in line with the emergence of second-wave feminism in Peru and Juan Acha's postulate that art should investigate “social beings” in order to advance “social conscience.” The study was developed in a series of twelve profiles—anthropometric, political, judicial and legal, economic, cultural, educational, psychological etc.—whose data were gathered through extensive surveys and medical examinations conducted between November 7 and December 20, 1980. While, on the one hand, the questionnaires accounted for a number of easily qualifiable data, such as physical built, economic status, or education level, on the other hand, they also asked pertinent questions regarding opinions on such crucial issues as abortion, bases for divorce, division of marital property, or the use of the female body in advertising campaigns—expressing a covert activist agenda."